Our Advisors are experts in their fields. Let us help you find transformative and sustainable solutions. Lisa has been an empowerment consultant and legal advisor for 22 years. She completed her articles at Webber Wentzel Attorneys in 1992. Since then, Lisa has worked in many organisations, driving empowerment and transformation. Notably she was the Legal Director of the Mpumalanga Parks Board, where she assisted in the formulation of the current commercialisation strategy of conservation for government conservation areas. Together with Kevin Lester, she founded Transcend Corporate Advisors in 2006. Since then, that company has grown onto one of the foremost BEE and sustainability compliance consulting houses. 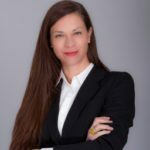 In 2014, by agreement with all of the shareholders, Lisa’s practice within Transcend broke away and, together with Lara Lombard, she founded Advance Corporate Advisers. The business retained all of its employees, know-how and clients, and is actively establishing its brand in the social development and transformation consulting space. Lisa’s practice within the company specialises in the provision of expertise to multinationals, as well as due diligence services to primarily listed and professional services entities, assisting corporates through verification processes, interfacing with verification agencies on their behalf and building sustainable compliance strategies and practices. Over the past 21 years, Lisa has acquired an expert understanding on the compliance regulatory and socio-political requirements. It is with this experience that she is the head of the Ownership Department at Advance, and develops and implements strategic and ‘best practice’ solutions in this area. A significant portion of Lisa’s practice currently focuses on assisting clients in their ability to tender for large SA infrastructure mega-projects and Public-Private Partnerships (PPPs) with the South African government. She advises on all issues pertaining to B-BBEE or Economic Development in tenders, providing a total solution in this field. Lara has worked both nationally and international in various industries, with a strong strategic compliance and team management focus. Building on her experience in the hospitality industry where Lara held senior management positions in bespoke hotels in London, characteristics of confidence, instantaneous and firm decision making were instilled. She has proven herself to be a strong and charismatic leader who focuses on upskilling her teams, building and managing systems, liaising with clients and building relationships between internal departments within organisations. 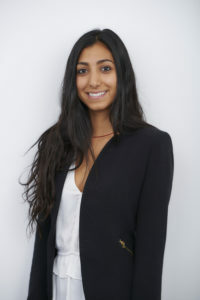 Lara joined the Due Dilligence team in Transcend in 2009, where she was instrumental in developing and growing the Due Dilligence department of the practice, and is currently the Executive Transformation Manager of the Due Diligence team at Advance Corporate Advisors. Lara now leads this team which specialises in assisting corporates to build and implement their BEE Strategies, with a goal to managing continuous improvement therein. Having worked with large organisations and groups both locally and internationally, assisting these groups to build internal capacity to ultimately manage their sustainable BEE solutions on their own, Lara understands the complicated challenges that face large groups of companies and the mechanisms for consolidation in the BEE Codes. Lara has an innate ability to understand a client’s needs and to tailor make a solution to ensure that it benefits the organisation strategically. She believes that each organisation is unique, and just as a every individual is faced with its own set of challenges and drivers, so to must each challenge be dealt with on a distinct basis, with a bespoke set of solutions. Lara believes in ensuring significant ‘buy-in” from stakeholders and achieves this through upskilling. Lara has extensive experience in the transformation compliance space across various industries, including but not limited to Mining; ICT; Tourism; Manufacturing; Transport; Media & Advertising, Construction and Waste Management. Lara is deeply passionate about the work that Advance does and enjoys the challenges that each new client brings. She believes that sustainable implementation over several years is the key to a successful BEE solution. With over 15 years experience in key management roles, Lara has continued to exemplify leadership, has strong communication skills and is the best in her field at identifying blockages to progress and in turn, creating sustainable and innovative solutions. 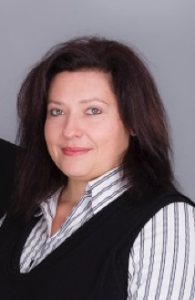 Nicolette’s experience spans an impressive 21 years as a project manager and business analyst. She acted as the Chairperson on the Transformation Committee for Business Solution Delivery at Standard Bank South Africa and has developed excellent skills in the managing, monitoring and evaluation of various project. Nicolette worked in the banking industry for 8 years in IT and project coordination, and was the Chair Chairperson on the Transformation Committee for Business Solution Delivery in Standard Bank of South Africa. 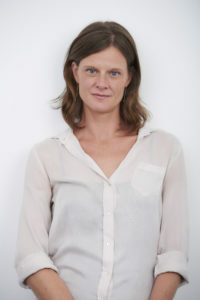 Before joining Advance, Nicolette was instrumental in educating and advising EMEs. Nicolette is currently a Transformation Compliance Project Manager for Advance Corporate Advisors, and a senior member of the Due Diligence team. As part of the team, Nicolette plays a key role with regards to liaising with clients, and specialises in managing large verification projects from start to finish as well as processing and analysing data to generate scorecards, and displays strong coordination skills, has strong people management skills, and has a natural affinity for matters of precision and detail. After graduating, Danielle went on to teach English to students in Hong Kong and then took time to travel in 2015, learning valuable life lessons through her travels. Danielle joined BEE consulting firm Advance Corporate Advisors in 2016 as a transformation advisor, assisting large corporates in implementing their transformation strategies. 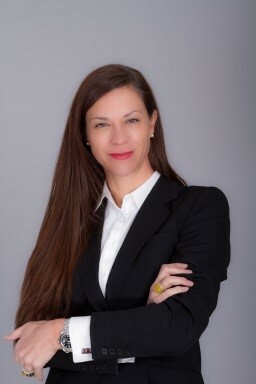 She gained valuable insight into BEE, particularly Ownership advisory, where she has advised many large entities, both local and multinational, in various strategies. Danielle has become an Ownership modeling expert through her in depth understanding of the Codes, and through her exposure on the large projects that Advance Corporate Advisors deal with, and her experience and leadership within these deals has made her one of the leading advisors on this issue. Danielle’s analytical skills and problem solving abilities coupled with her strong research skills assist her to implement innovative solutions for multiple corporates. 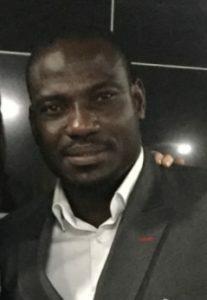 Emmanuel Joined Advance in 2017. He has extensive experience and expertise in doing business, and facilitating commercial relationships in a number of West African countries, including Ghana, Nigeria, Cameroon and Benin. He heads up the advisory business development team for Advance in these countries, where we have been able to ensure that our clients are able to be positioned advantageously in their new and existing businesses. With his many years of experience in doing business in West Africa, and his relationships, which span political, commercial and traditional, he enables Advance to significantly expand the social developmental advisory work that it does on behalf of its clients in South Africa, and extend its facilitation services to these countries.